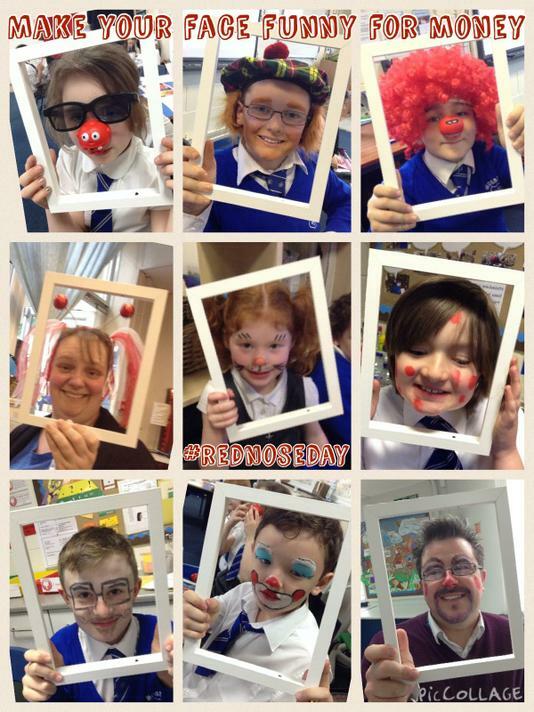 We had a day of fantastic fundraising in school on RED NOSE DAY, Friday 13th March! We always participate in fundraising for Comic Relief as it's a fantastic cause that helps millions of people less fortunate than us. This year, the theme ws 'Make your face funny for money' and so pupils came to school with weird, wacky or wonderful creations on their faces! Thank you to you all for your generosity in providing a voluntary donation in return for children being able to take part in the funny face creations.